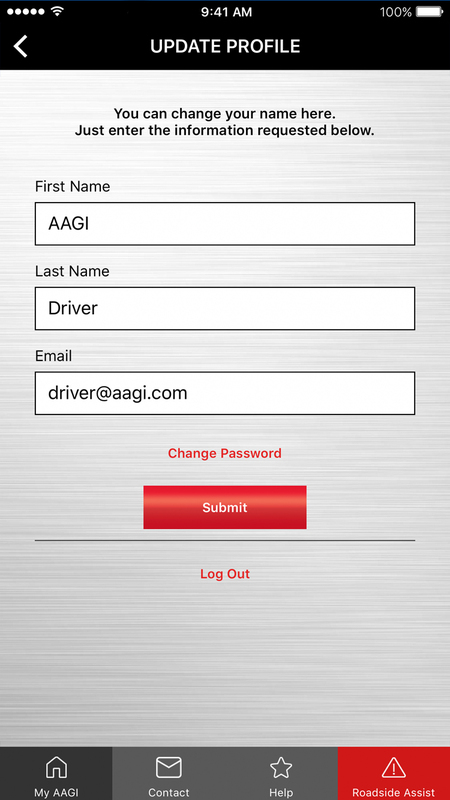 with AAGI Mobile, secure electronic info is always at your fingertips. Say goodbye to a glove compartment full of paper! 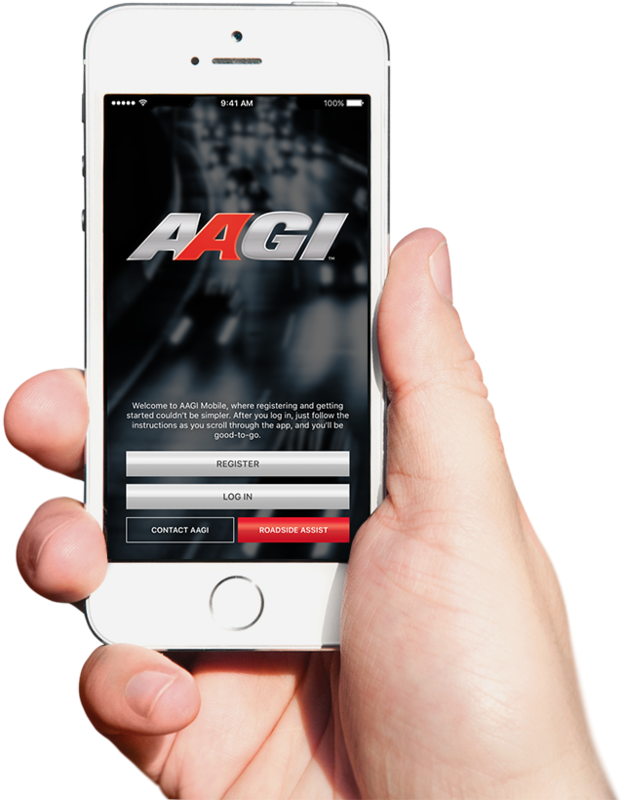 AAGI Mobile is a one-of-a-kind app that provides an easy way to manage your vehicle's warranties, access contract services, and get emergency help on the road. 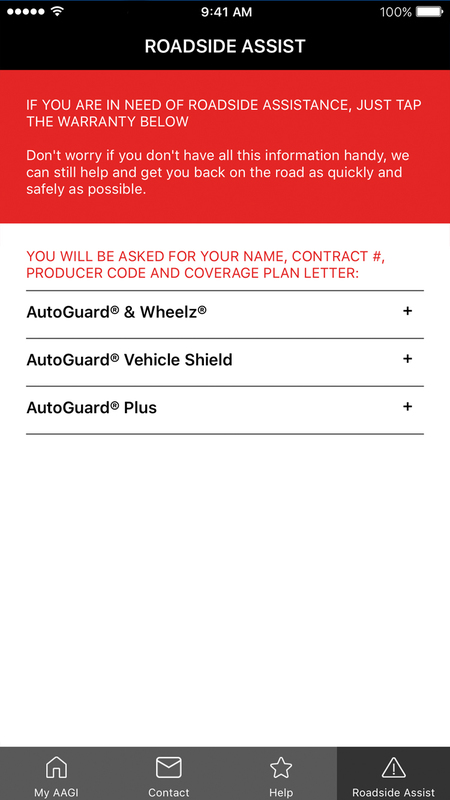 Store your AAGI contract information safely and securely. Track coverage for every product and every vehicle in your household. Access dealer contact information and location, including interactive maps. Get answers to frequently asked claims and contract questions. Immediately connect to emergency roadside assistance. 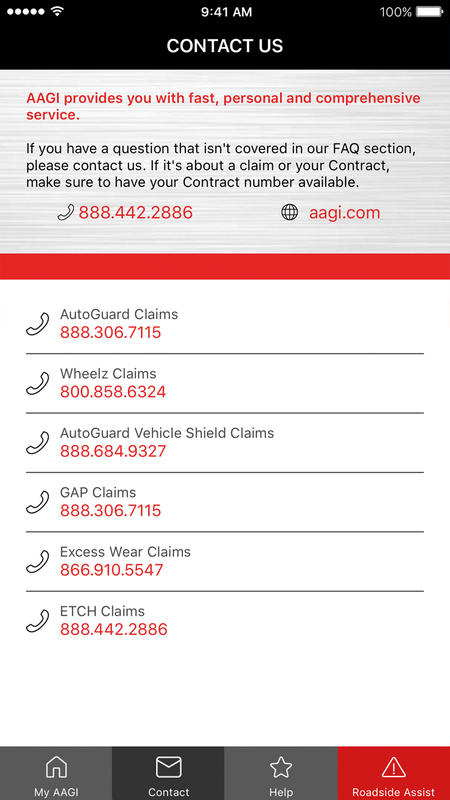 Directly contact AAGI Claims or Customer Service. 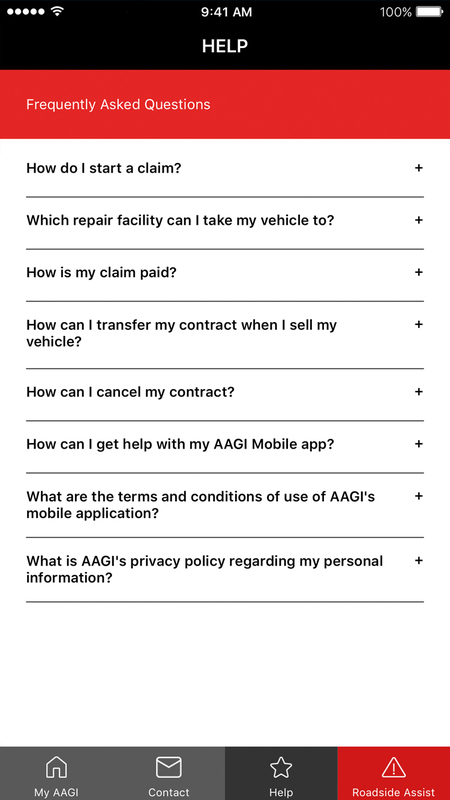 Unlocking the power of AAGI Mobile couldn't be easier — just follow the simple steps below, and you'll be on your way in no time. 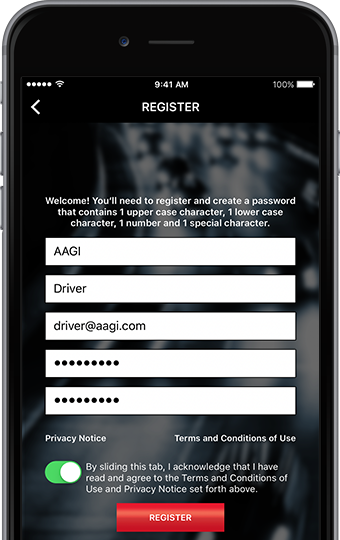 Register for an AAGI Mobile account using your name, email, and password. 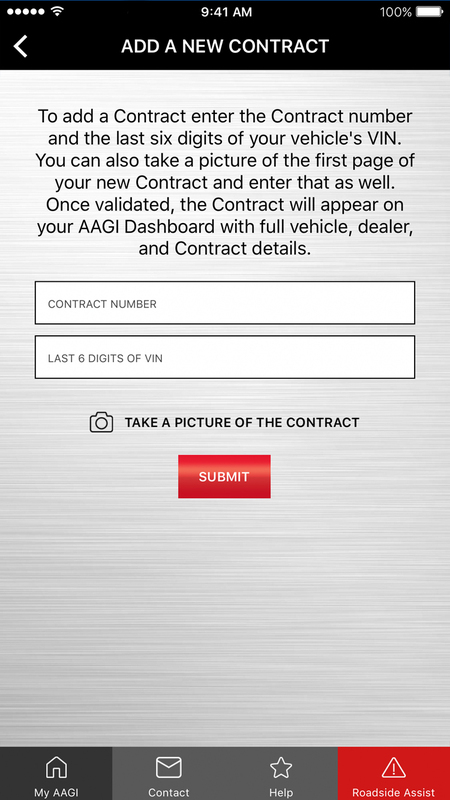 Tap "Add New Contract to My AAGI", enter your VIN and each contract number, and even take a picture of your contracts if you choose. Enter the confirmation code we sent to the email address you provided at registration. 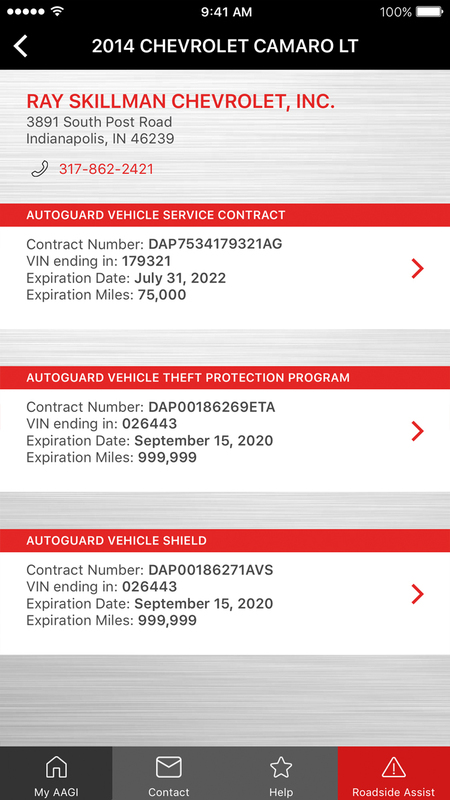 All covered vehicles will be listed on your "My AAGI" dashboard. 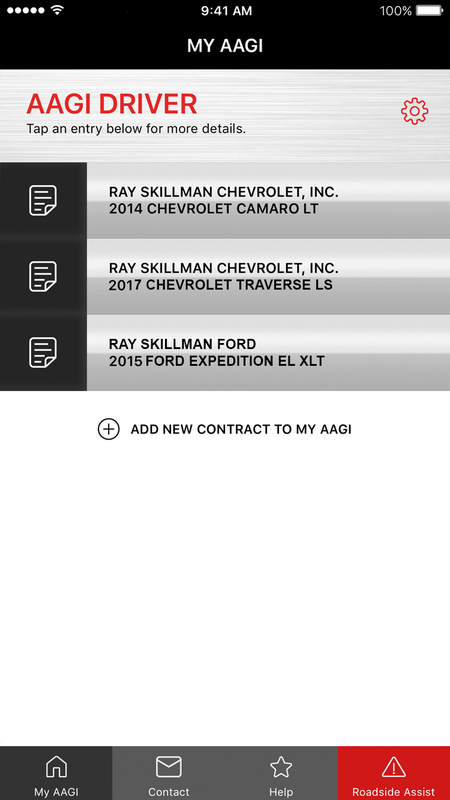 Tap a vehicle for full dealer and contract details. 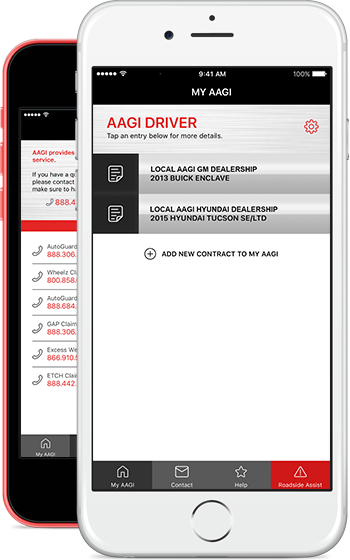 AAGI Mobile puts your contract, contact, dealer, and roadside information where you need it — right in the palm of your hand. Give us your email address and we'll drop you a line anytime we add something new and cool to AAGI Mobile. Don’t worry: we hate spam as much as you do. Have questions, comments, or suggestions? Feel free to contact us anytime. ©2015 American Auto Guardian, Inc. (AAGI). All rights reserved.